US President Donald Trump suggested holding the anticipated second summit with North Korean leader Kim Jong-un in Vietnam in mid-February, a Japanese newspaper reported Sunday. Yomiuri Shimbun reported that North Korea appears to review the US proposal but has not yet give a response, citing officials familiar with the matter. The report comes amid rising speculation that the two leaders are soon to hold the second summit to resume the stalled talks on denuclearization, following their first meeting in Singapore in June last year. Trump had previously confirmed that talks on the location of the second summit with Kim were underway and that they are to announce it in “not-too-distant future.” Kim also had expressed his willingness to meet with Trump again “at any time,” in his New Year’s speech. For the second meeting, Vietnam, Singapore and Hawaii had been mentioned as possible venues for the bilateral summit. But experts thought Vietnam and Singapore held higher possibilities as they have North Korean embassies, while Hawaii does not. Vietnam reportedly has delivered messages to both South and North Korea that it wishes to host the envisioned summit in its resort town of Danang. Former officials of the US government that worked on North Korea issue have also expected the second US-North Korea summit to happen soon, but also expressed doubts on whether the two would be able to reach an agreement. The nuclear talks has failed to advance after the first summit last year, due to the differences of their stance on denuclearization. While US insists North Korea take more concrete action toward denuclearization and submit a list of its nuclear weapons, Pyongyang demands a reciprocal gestures, such as easing economic sanctions. 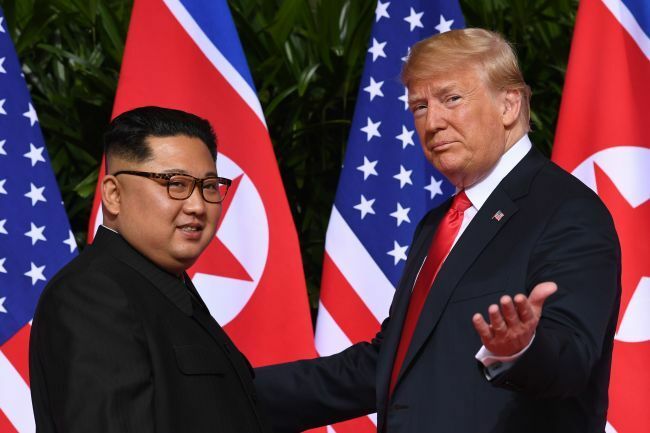 Robert Gallucci, a former US nuclear negotiator with North Korea said the summit was likely to take place at the end of this month or next in an interview with a US news outlet, Radio Free Asia, on Friday (US time). Another former US envoy expressed sketicism as to whether progress would come from the envisioned summit. “The two leaders of the United States and North Korea will shake hands, have dinner banquets and hold a summit like they did in the Singapore summit,” Robert King, the US former special envoy for North Korean Human Rights Issues told RFA. But a practical outcome is not expected, he added. US Pompeo reiterated their stance on a “full” and “final” denuclearization while expressing hope that the US and North Korea make “substantial progress” this year.